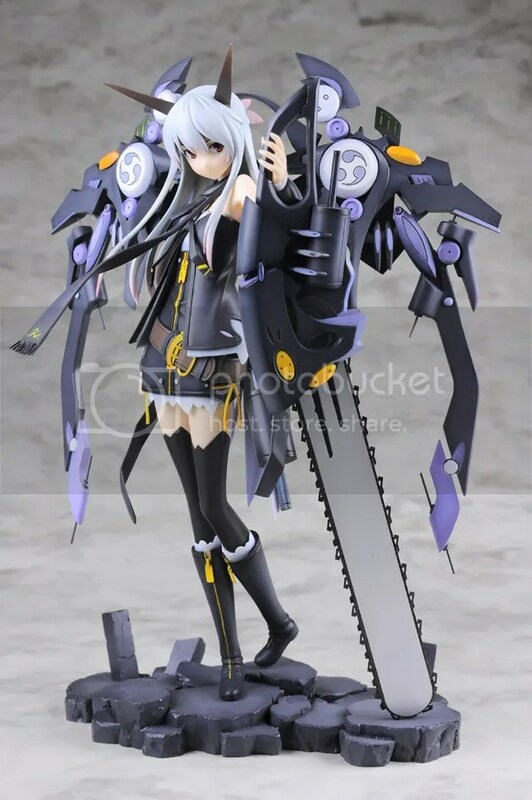 GSC’s Chain:Saw Previews | Wcloudx (kumo)'s Blog - Ramblings about Figures, Gunpla, & More!! « Chara-Ani’s Touwa Erio Futon Reservation Starts!! 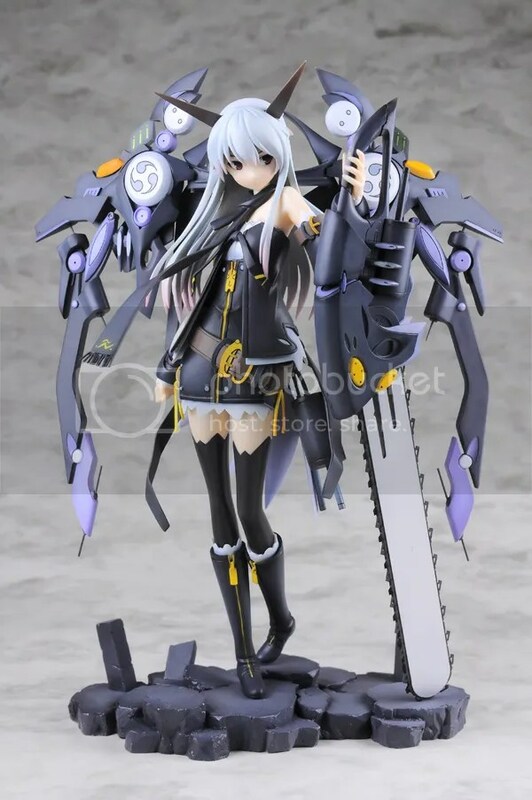 This entry was posted on February 13, 2012 at 6:08 pm and is filed under Figures, Good Smile Company, news, Previews. You can follow any responses to this entry through the RSS 2.0 feed. You can leave a response, or trackback from your own site. 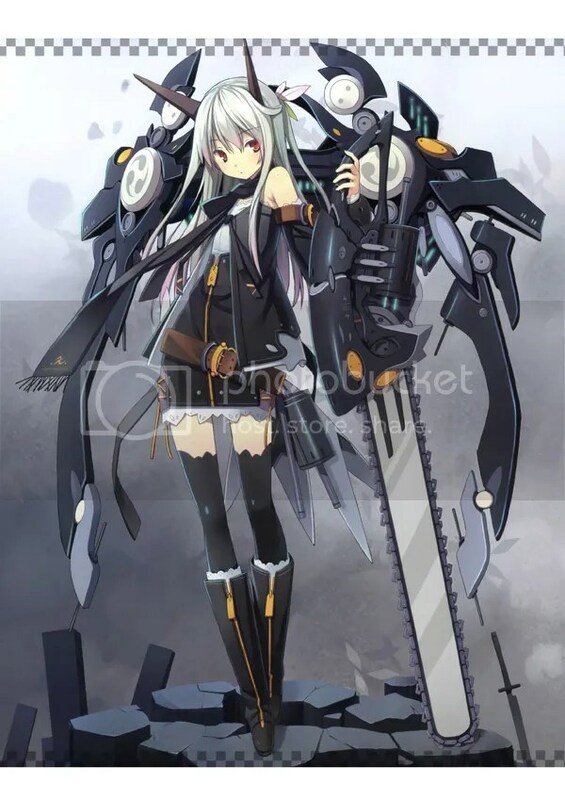 Does this mean there is hope yet for Miku Knight, which debuted as a GK alongside this? No Info yet about price and release date? She looks nice. Like her face. I very like when the figure maker made a figure, when the final product looks like the character from the illustration, anime or manga. 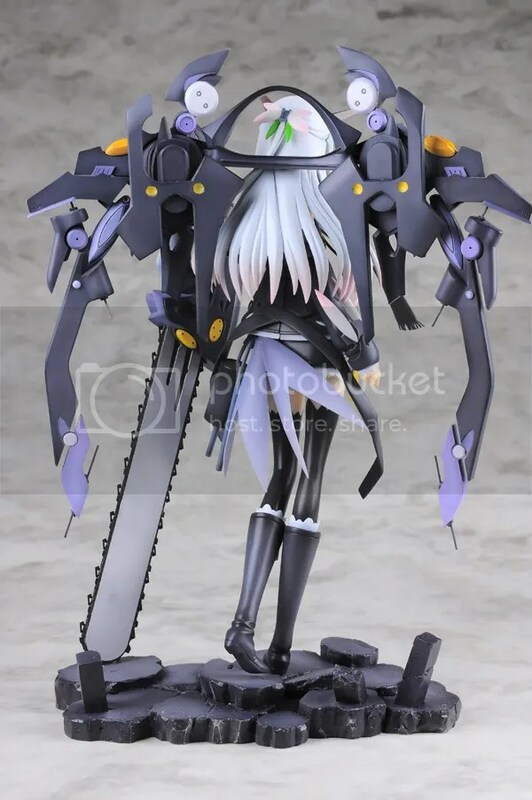 That’s why I like GSC, ALTER (with the Altair’s series to), Orchid Seed, Max Factory, Native… ect. Do you know if Volks products are good? I mean i can research on the net but wanna hear other’s opinion as well. Volks product is good quality, if you are into their Garage Kits. They have released a number of PVCs also, but I would say that it wasn’t as good compared to their kits. The only downside is that sometimes they are expensive and only available exclusively through their site or certain events. But I prefer or like the GSC, ect. … than Volks. Ah, I see. Thanks for the reply. Yes, I was referring to the PVC figures. I like Valkyria Chronicles and all but somehow their VC3 PVC doesn’t really have that much appeal. Their Nagisa one looks nice but I’m afraid of the end product after I look at their past PVCs. Volks PVC figures are still lacking behind GSC, Alter and other major figure companies in terms of production quality. So basically you can’t expect to see their sample quality translating to mass produced figures. 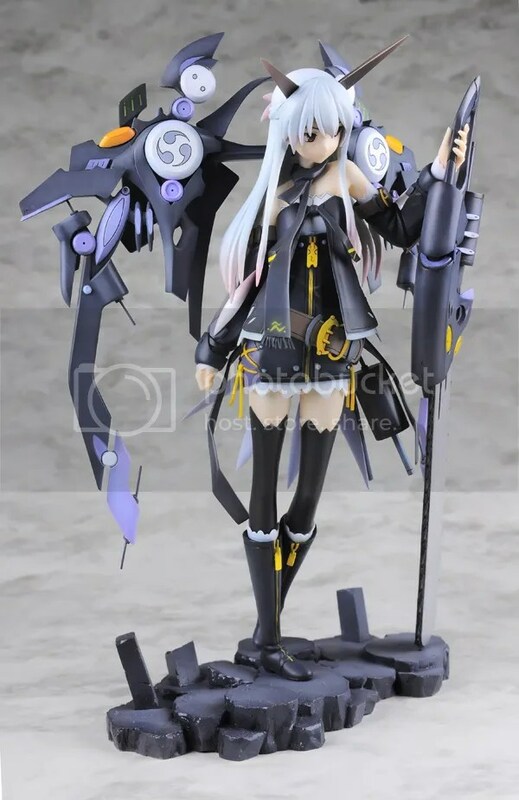 In addition Volks PVC figures are exclusive. Awesome sauce, my wallet is not safe again.